William T. Myers is among Michigan’s preeminent real estate lawyers, whose practice focuses on residential and commercial developments. His long-term and distinguished legal career includes serving as one of the drafters of, and a major contributor to, the current Michigan Condominium Act and the Administrative Regulations under the Act. Bill has lectured and served extensively as a panel participant in real estate seminars and symposia for the Practicing Law Institute, the Institute of Continuing Legal Education, and for bar association groups and other professional organizations closely involved in the real estate development industry. 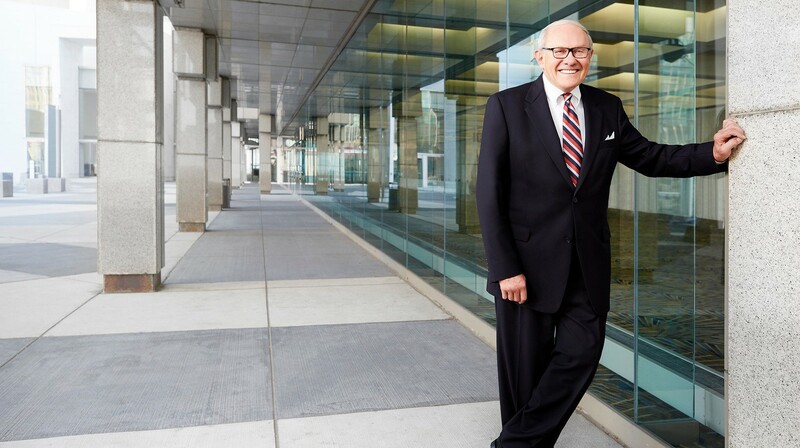 Frequently recognized for legal excellence by his peers and ranking organizations, Bill has been consistently selected for inclusion in “The Best Lawyers in America,” (Woodward/White, Inc.), “Top Lawyers in Michigan,” (DBusiness Magazine), and “Michigan SuperLawyers”, (Thompson Reuters Corporation) among numerous others. Prior to joining the firm, Bill was a partner in Dykema Gossett (1960-1999) a national law firm headquartered in Detroit, Michigan and thereafter a partner in Myers Nelson Dillon & Shierk and its successor, Myers Shierk & LaBelle (1999-2014), law firms in Bloomfield Hills and Grand Rapids, Michigan.